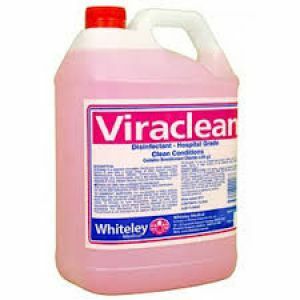 Viraclean® passes TGA Option B and kills a broad range of other bacteria including, Enterococcus Faecalis (VRE), Acetobacter and Acinetobacter. It has also proven effective against Hepatitis B Virus, Herpes Simplex Virus and the Influenza Virus. 5 litres.